Michigan law allows a divorcing couple to execute their own separation agreement -- sometimes called a settlement agreement. A separation agreement is a legal contract that spells out exactly how the parties will divide all debts and assets. It also addresses spousal and child support, child custody and visitation rights. You are not required to have an attorney prepare this document. A validly executed separation agreement becomes a legally binding court order once it is incorporated into the divorce decree, so take care to thoroughly understand all the terms before you sign. Because this agreement addresses all property accumulated during the marriage, separation agreements can be complex documents. Familiarize yourself with Michigan's method of dividing marital property, which follows equitable distribution principles and awards marital property fairly -- if not necessarily equally -- according to a list of factors. You must also understand the difference between marital and separate property. 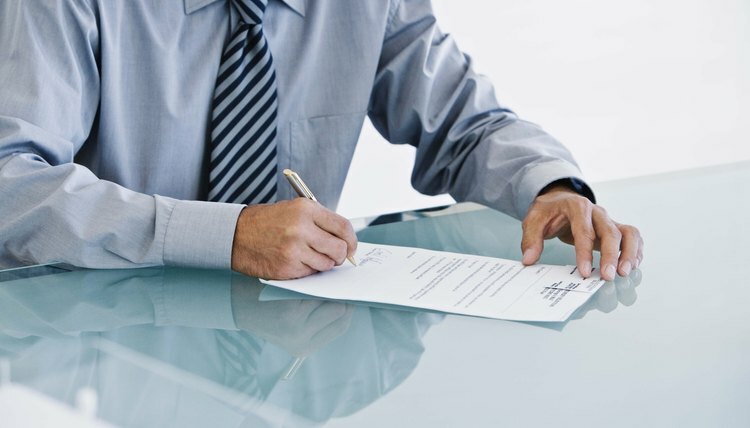 Once the court adopts your separation agreement and the divorce is finalized, any modifications to the original agreement must be approved by the court after you file a motion for modification. If your ex opposes these changes, modification can quickly become a costly and time-consuming endeavor. Some modifications, like child support, are especially difficult to obtain. Under Michigan law, courts will not consider modification of child support obligations unless there has been a significant change in circumstances since the last order was established. Rather than go forward with divorce right from the start, some couples -- typically for religious or financial reasons -- choose to become legally separated: a process that allows for a division of property without ending the marriage, but this option is not available in Michigan because the state does not recognize legal separation. A married couple who opts to live separately can still enter into a written separation agreement, but it will not become binding until the spouses either file for divorce, and the agreement becomes part of the divorce decree, or file for a judgment of separate maintenance. Michigan recognizes an action called separate maintenance, which is similar to divorce, except the couple remains married. To obtain a separate maintenance order from the court, you must go through all the steps of a divorce, including dividing property and determining spousal support, if any, child support obligations and custody rights. If you later decide to end your marriage, however, you must start the process from the beginning and file a new action for divorce. Forbes: Legal Separation or Divorce: Which is Better Financially?